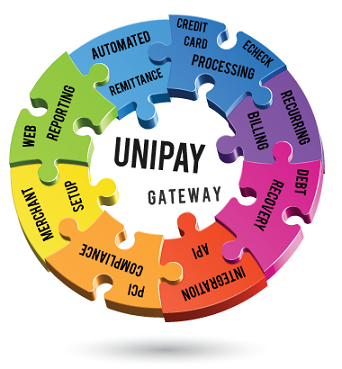 The UniPay gateway is the ultimate payment processing software for legacy system replacement. When it’s time to move up and move on, we’re here for you. We can provide migration services that help you make a smooth transition from your old platform to your new one in the most efficient and effective way. We’ll help you determine the phases and strategies for your transition and assist in identifying risks that can be mitigated. We know that many established companies are using payment processing solutions based on mainframe legacy software and other outdated technology. With fewer and fewer programmers for your system’s programming language available, you know there’s trouble coming. Your system’s decreasing ability to handle modern challenges proves to you that it’s time for a replacement. Continued updates and upgrades may no longer be possible or viable. But there are concerns. Your old system has served you well in many ways, and it’s vital to the day-to-day operations of your business. Migration to something better must be smooth and efficient. Integrations with banks and other entities must be maintained. Front-end systems must be connected seamlessly or replaced. Merchant and transaction data stored in the system must be migrated without loss. You need your best people on the job, yet the key people who know your system best have left the company and are no longer available to you. Plus, there’s personnel training and PCI compliance to consider. At United Thinkers, we’re experts in making good companies great by providing you a new payment processing solution that’s full-featured and robust. Our product is open source commercial software that we can adapt for you or you can adapt yourself. Even better, it’s affordable and features advanced APIs that make integrations easy. The UniPay gateway includes an advanced processing and remittance engine supporting a wide range of payment types as well as a billing module for recurring payments, decline recycles and more. If it’s time to replace your legacy system, it’s time to talk to us. Contact us right away to set up an appointment. Our payment processing software can become your modern payment solution. Find out how United Thinkers team can help you, if you decide to replace your legacy system.